An 8,500-gallon tanker truck hauling gasoline crashed and burst into flames near train tracks on a New Jersey highway Thursday morning, briefly snarling several rail lines and closing streets, officials say. 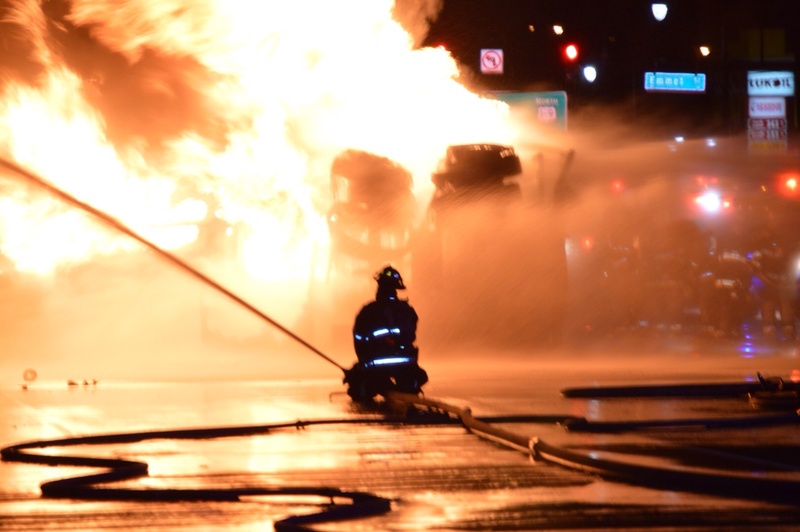 The truck caught fire on McCarter Highway at Astor Street in Newark about 1:30 a.m., police say. 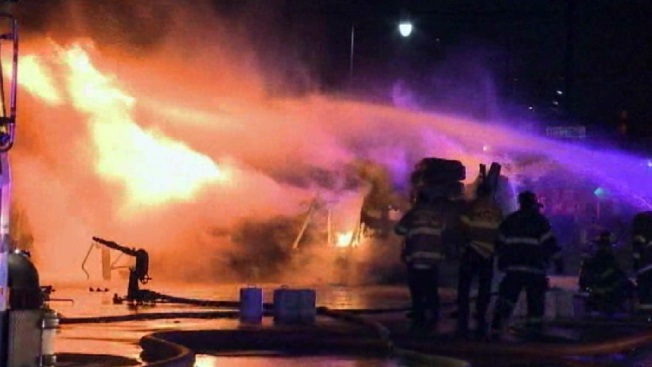 The blaze was brought under control by about 3:30 a.m. and no one was seriously injured. The fire shut down several NJ Transit and Amtrak lines between Elizabeth Station and New York Penn Station for several hours overnight, authorities say. Service was restored within a few hours, but residual delays are expected as crews repair the rails. System-wide cross-honoring is in effect. Click here for the latest updates on specific lines. McCarter Highway was also closed between Emmet and South streets following the fire.